The Lab has been updated with leaderboards for three of the included games. 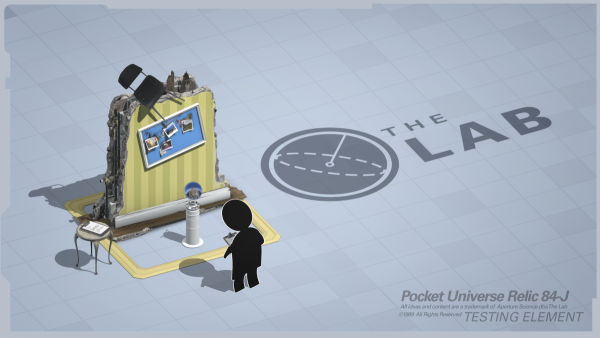 The Lab, the VR mini-game collection created by Valve for the HTC Vive, has received a major update. Three of the included games, Longbow, Xortex, and Slingshot, now support leaderboards. In addition, Valve added new features to the three games. For Longbow, you can now choose an unlimited number of waves, which comes with a new scoring system that takes into accounts headshots, popping balloons, and more. Waves increase in difficulty the more you play. Xortex has been updated to include Xortex Infinite, which allows for “more frantic action” and replaces the laser with a bomb. As for Slingshot, Valve has re-balanced the game, and added better effects for barrel expositions. Score adjustments have also been made. The update is called The Appliance of Science and it’s available now.